This entry was posted on September 29, 2014 by sharonwynn, in Uncategorized. Bookmark the permalink. Test your skill at “ring toss” and a chance to win a bottle of wine! 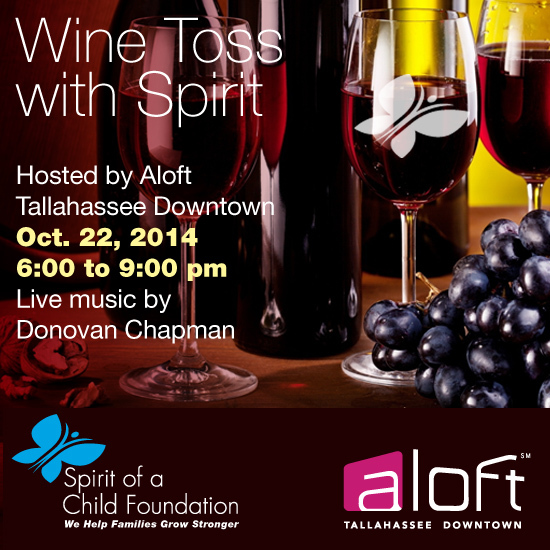 Join us for a fun filled community social event sponsored by Aloft Tallahassee Downtown on Wednesday, October 22nd from 6-9 p.m. to benefit the Spirit of a Child Foundation. 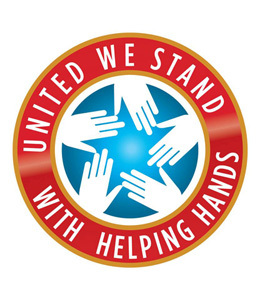 Attendees of the event will be able to mix and mingle in the WXYZ Bar, participate in a ring toss challenge to win a bottle of wine, and enjoy live music from one of Tallahassee’s best country singers – Donovan Chapman. Simple appetizers will be provided and all proceeds from the wine toss and a 50/50 raffle will benefit the Spirit of a Child Foundation. CATCH the SPIRIT on 10/22/14! Hope to see you there! « Rockin’ with Spirit ’14 — One Amazing Evening!